Copycat culture – it’s something a lot of people have been talking about lately, the conversation spanning all scales. From photoshopping your face onto the pictures of others to post on your own Instagram account (weird), to copying full outfits and hair styles (could be coincidence? is it flattery?) or going to an Insta hot-spot you saw popping up on the feeds of your favourite influencer (it becomes a cliche, but we all do it. Doesn’t it just prove the point and power of influencers? Ahem, Peggy Porschen’s…) Either way, there is a lot of conversation around it, with the lines between right and wrong, imitation and inspiration becoming more blurred but more deadly to deal in. Who wants a dm slinging accusations of copying? Nobody. I’m sure you’ll know about the drama that kicked off on Twitter a few weeks back, which included a certain blogger who had plagiarised a grand total of 10 of my blog posts – most of them word for word bar an extra sentence here or there – as well as some other well-known blogger’s posts. She had also been replicating a few of my photos a little too closely for comfort. A huge miscommunication and misunderstanding I keep getting is that people seem to think that I have a huge issue with her copying my photos, and in fairness, yes, I did have a bit of a problem as this was a girl who had previously reached out to me and I’d given advice to when she first started blogging. It felt like a bit of a stab in the back – especially when I had politely messaged her about the photos, and she got very defensive and rude. But that just happens – it’s part and parcel of growing as a blogger/ influencer – your images are popular because people like them, and they will be recreated. So it wasn’t that that bothered me as such, it was the plagiarising my work that really got to me – but hey that’s another story! More and more I’m hearing of people being difficult and friendships being tarnished over the whole situation, and I can’t help thinking that honestly, perhaps we need to think of the bigger picture. If your work is good, if it’s successful, then it will be replicated. I’m not saying you should take someone copying your hair, your movements, your locations, your style, and the whole framing and direction of an image as a compliment because oh my god, I do know it can be frustrating – it’s exactly what so many people told me: and it wasn’t a compliment. But it should be expected as you grow and gain success. Right now (ok, for sometime, but I’m noticing it even more right now) there is a certain kind of content on Instagram which is performing incredibly well: “candid”, cute, girly fashion and lifestyle images. It’s insanely commercial. You know, slim (predominantly white – sadly) women with perfect hair, short skirts/ uber feminine outfits, light bright imagery punctuated with florals here and a latte there. Oh, and with the inclusion of FOOD. A stack of pancakes (guilty) a slab of red velvet (guilty) and a vegan/ non-vegan (delete as appropriate) burger (I am so guilty of this.) There’s nothing wrong with this kind of content. It’s the kind of thing I create weekly (and totally creates a photo op out of a feeding op – can I have a hellsss yeah plz?) but the success of this kind of imagery is catchy, and the majority of it relatively easy to replicate. We all shoot mostly in similar places – cute and very trendy-looking cafes, glamorous backdrops in places like South Kensington, Notting Hill and Chelsea. Vintage-looking cars. Outside certain shops and buildings which are decked out in flower walls or something equally as instagrammable. I don’t think there’s anything so wrong with this – we’re all out there trying to build our own brands and create photographs we are proud of, so it’s likely there will be crossover. The main problem with things like this is that your audience may get bored and think oh jeeeez not that bloody coffee shop AGAIN *hit unfollow* – but that’s a risk that only you can really weigh up. We all shop from the same stores. We all work with the same brands. So it’s very likely there will be similar imagery and outfits created. Plus, we all follow each other and like each other’s photos. If we go to an instagrammable hotspot, tag the location, it’s going to catch on. Like I said, we’re influencers – it’s what we do. It feels silly, and almost petty, to complain too much about it all. 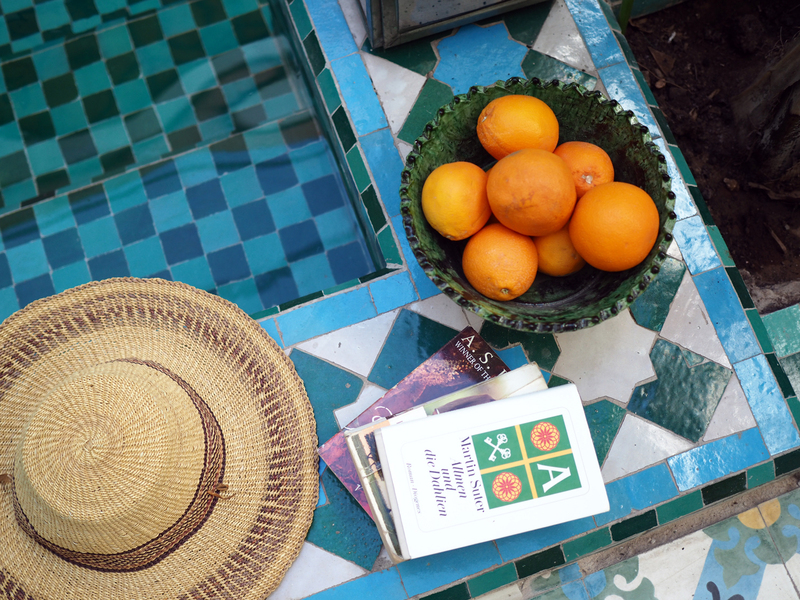 This is kind of why I chose to illustrate this blog post with these particular images – the ones shot at BE Marrakech. 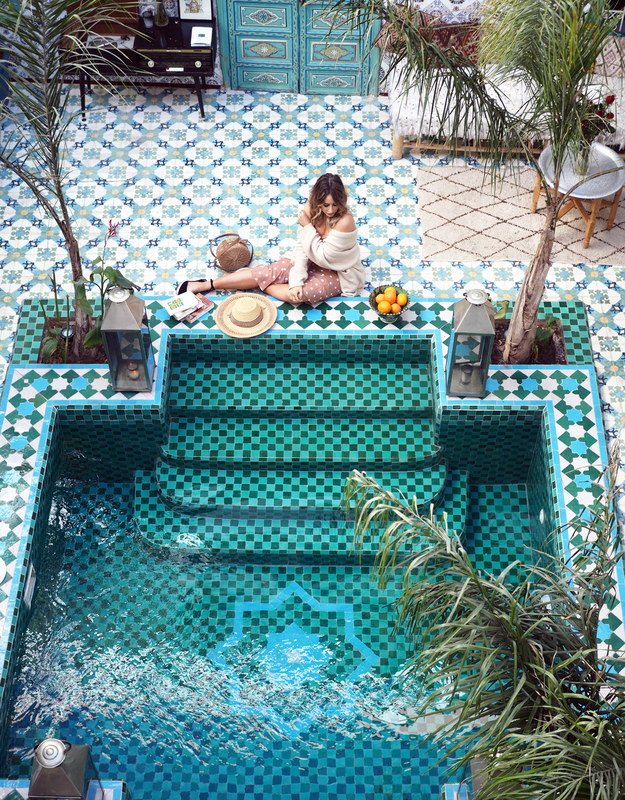 It’s a riad that I found out about last year, lo and behold, through Instagram, as some major influencers had been shooting the most gorgeous imagery of their stay. Erm *breathes heavily* – must. book. totally. instagrammable. holiday. immediately. So I did. And before going, I looked at the kind of photos that were taken there, and there’s thousands. Literally. Their own Instagram account has 35k followers. It’s impossible not to replicate someone’s photo in a Instagram hotspot like this. You can’t ignore the fashion industry itself. 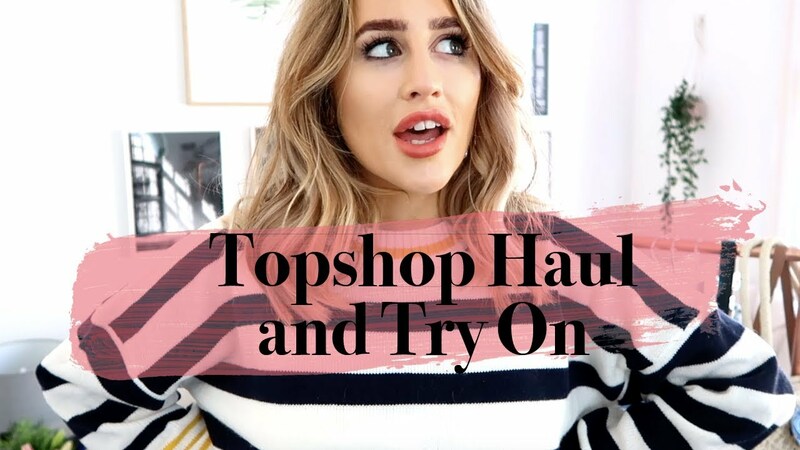 Bloggers and influencers make up a small denomination of it , but it’s an industry that is built on copies, replicas, inspired-by’s, and interpretations. That’s how it works. Designers design, high streets interpret their own versions. We buy dupes. Some people buy fakes… It’s trickle down theory. But where is the line between imitation and inspiration? Because there most certainly is a big difference between copying something and being inspired by something. And if you’re seriously looking at someone else’s image and replicating it in terms of outfit or location or general set-up, then just credit who inspired you in your caption. You’ll look less of an idiot, it’s way more respectful, and it’s nice to credit who created the original imagery. It’s exactly what I did for one of my photos at Riad BE – I completely took inspo from my friend Lucia from Style Confessional, so I tagged her in my caption to say so. 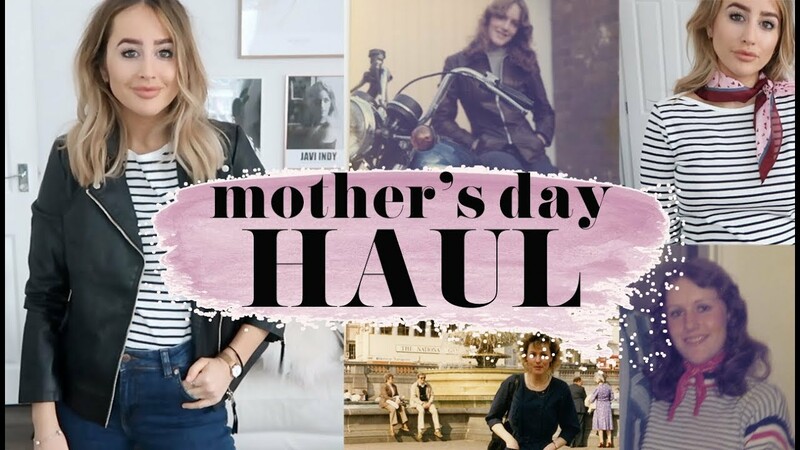 And I think, even if it is entirely coincidental, it may be worth clearing it up before you post – I’ve had situations where I’ve shot an outfit only to find that a blogger friend had posted the exact same outfit days before, and I simply hadn’t seen. A quick message to say “btw babes heads up I shot this too so I didn’t want you to think I was copying you!” and everything was sorted. Everyone’s has a saved file of images for inspiration – I certainly do! Mine is categorised into general inspo, and different locations for holidays I go to, and ideas for ads when I sometimes get stuck. My screenshot folder on my iPhone is full of similar images (alongside many a meme and whatsapp convo.) But this doesn’t mean I’m going to replicate and copy the image, or pass the phone to Gemma and say “hey can you do it so it looks *just* like this?” whilst wearing basically the same outfit, at an identical location. And if you really really think someone is copying you, just think before reaching out to say something – is it really too much to be a coincidence? And has this happened more than once? 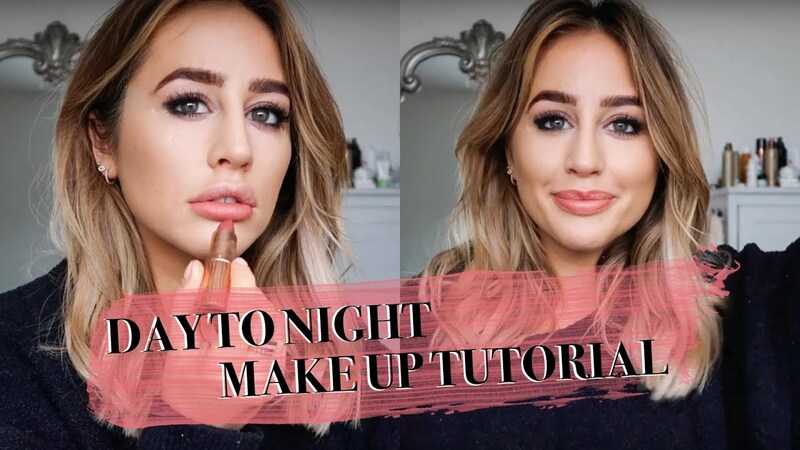 But yes, it’s totally frustrating putting a lot of effort into creating imagery, only to have someone else replicate it and reap the rewards off your back, and then be told “imitation is the sincerest form of flattery!” by others when you get frustrated – erm, sorry no hun, giving credit and saying “ta for the inspo!” is. In that aforementioned blogger’s “comeback” post, she said something along the lines of “hands up who hasn’t taken inspiration from someone else at some point” and she completely has a point – albeit, she seems a little unclear on the difference between inspiration and plagiarism, and it seems she was using that as an excuse to downplay the severity of her own actions and displace the blame too…. but hey I’ll let that slide! But I can guarantee that yes, 99% of us have taken inspiration from others at some point. I love Instagram, but I can definitely see everyone’s images funnelling into the same kind of vibe. So perhaps instead of trying to replicate each other we need to try something new and different on our own backs – and this totally stands as a challenge for myself as well. I haven’t got a clue where the future of content creation will go, or if we’ll all turn into cookie-cutter clones (if we haven’t already – admittedly) – I just felt that I’m seeing social media completely riddled with criticism of people “copying” others, I’m getting messages asking advice on it like I’m an expert. But I just keep thinking that I’m an influencer (as much as I hate the term) so I wouldn’t be doing this job if I didn’t have influence. If people weren’t inspired by what I did, then I’d have a bit of a problem… It’s just finding where the line is crossed that may continue to be the tricky part. As I said, perhaps it’s time to look at the bigger picture, rather than the tiny ones on our screens. True words! I totally understand and agree with you! Ps. : you are a huge inspiration for me! Think you’ve hit the nail on the head with this one. Really great to read your take on it and your variety of points. Love the content you are creating and this location is stunning, can’t wait to see more photos from your trip. Great blog post as allways. For me inspiration is to do mimic and develop it into something new. Example mimic a pose, different outfit or mimic an outfit but different hairstyle and location. I read an article on whowhatwear yesterday about how similiar photos on instagram are. I think that might change in the future. I have read that authenticity in paid post (in particular on youtube) will be more importent in the future to generate sales. An ad must fit the influencers personality to be trustworthy. Maybe that will lead to more unique content in the future? It could be good business for companies too. I mean it must be better adverticing if influencers wear different garments from the same store and style the different as it shows more garments from their collections. like this article and the presentation of your own ideas. What I think is critical, if you try to do something very different, it maybe or probably won’t work on instagram. Because People and followers do love this same Content of flowers, Cafés, etc everyone creates. I must confess I feel the same Sophie. Everyone feels just… the same to me :/ except for the lovely ladies like you, I really don’t feel like following people who all look the same. By the way, what a beautiful location! *-*. I couldn’t agree more with your opinions in this post! Although I was so distracted by the beautiful images it was actually difficult to stay focused! Incredible photography! I quite literally couldnt agree more! there are so many similar Instagram’s now its time we all spiced it up a little!